KANSAS CITY ROYALS LIMOUSINE SERVICE! 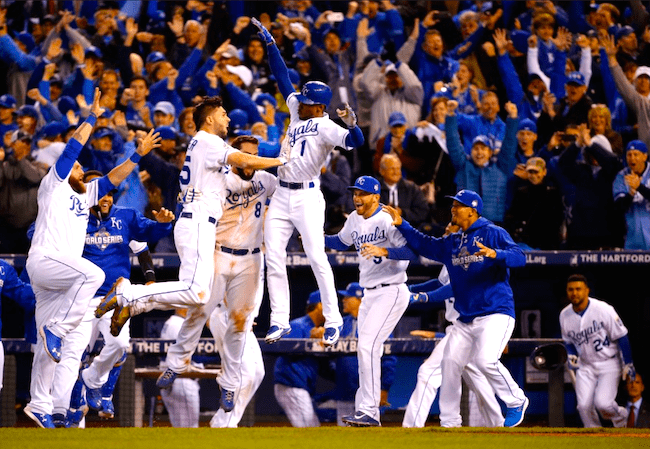 From Opening Day thru the Postseason play, Overland Park Limo Service stays on top of getting our valued clients to Kauffman Stadium and back home. We love a sunny day at the famed Kansas City ballpark as much as the next person, but we also aim to make sure that every client is cared for with timeliness, courtesy, and comfort. Our extraordinary limousines are not what you will find with a lot of these fly by night companies in Kansas City. Our vehicles are clean, up to date on all of their mechanical systems, and cool in the summer and warm in the winter. This year, Opening Day is March 29th. We will be in full force with several vehicles working the highways to get customers around town for the festivities. Want to begin your day eating some tasty barbecue before we get you to the ballpark? No problem. Want to hit up the bars after the game and have us shuttle you around until you're ready to get you and your team back home? No problem. Honestly, it's whatever you are up for. We are just happy that you have chosen us as your safe and reliable transportation for the game. We all want to enjoy the game as much as possible and have a few beers in the process. But, we want you to be able to enjoy the next game and the next game after that! Better to hire a driver then chance it yourself, right?! Give Overland Park Limos a call today! We're the limo service Kansas City trusts for the big game!